apply love instead of hate to these situations and celebrate our unique souls. I had a wonderful opportunity to chat with Dr. White about her new book and wish her all the best!! I believe that bullying is out of control and causing serious problems for many individuals. Often people who survive the effects of bullying may feel its damaging effects long after the incidents are past. They range from difficulties to hold onto jobs, challenges with social engagement and intimate relationships and low self-image, deflated self-esteem and can even affect their health. Unfortunately, for many, the damage can be permanent. More awareness is needed regarding the impact, especially from the voices of those who’ve been bullied and their families. When we hear their first-hand accounts, which is what I’ve done with the stories within Bully Free, we can truly understand the impact, isolation and the pain that these individuals and families experience. Children with special needs are more often the likely victims because they are viewed by bullies as more vulnerable, more visibly different, and may not be able to defend themselves. Who do you hope to reach with your message? Bullying is everyone’s problem from the teachers, bystanders, professionals and other children and youth who often bear witness to its thoughtless and demeaning acts. If you are a parent, an educator, or work with children, let Bully Free open your eyes. I hope that by sharing these true stories about people who have undergone and endured bullying, we can truly understand, be more sensitized to the harmful and destructive experience, and actively participate in the mending and healing process. 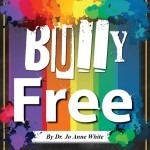 My ultimate goal is to inspire real change on every level so that we are truly Bully Free! What can others do to help you be successful with your book? Get the word out about Bully Free, share their reactions and responses to reading the book and tell people where they can purchase it. How many books have your written and what are the titles? Tell us something that you never thought would happen that has as a result of writing this book. I have been so moved by listening to the stories and in hearing the concerns of parents and family members and so have the people who have read Bully Free. What I’ve discovered in the true stories is the also courage, resiliency and the strength of the human spirit. Dr. Jo Anne White is an International, Award-Winning Author and Speaker, Certified Professional Coach, Business Consultant and Energy Master Teacher who specializes in Innovation, Transformation and Energy Medicine. Known globally as the “Success Doc,” Doc White gets to the heart of what matters most to businesses, organizations and people. She’s helped millions of individuals and organizations shape their own dreams, master their own success and triumph in business and life. 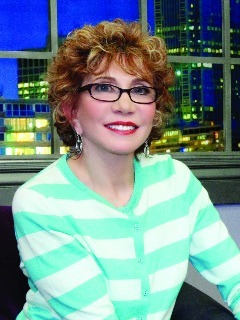 Executive Producer and Radio and TV Host of the “Power Your Life” Show, Dr. Jo Anne White has been featured online and in national and international publications such as CNN.com, Good Housekeeping, More, Match.com and WebMD. She’s made frequent guest appearances on Radio and Television Networks such as NBC, CBS, FOX, and Voice America sharing her diverse expertise. With 20+ years in education, administration, business, leadership and energy medicine, Doc White designs and delivers imaginative, cutting-edge training programs and seminars. Formerly, an adjunct in the Education and Special Education Departments at Temple University, Dr. White also served as an Executive Director of the Children and Youth Services Program at Bancroft Inc., and the Director of Research, Evaluation and Training for the entire Bancroft facility. She was instrumental in establishing community-based programs for the youth in the program. Her Power Your Life cable TV Show airs Wednesdays at 8PM, Eastern in the tri-state area on the WMCN network. (Check local listings).